Alejandro Zambra, a Chilean poet, short story writer and novelist, during the Festiba Big Read Keynote Panel on Thursday, March 1, 2018, at the University Library in Edinburg, Texas. EDINBURG — The University of Texas Rio Grande Valley hosted renowned Chilean author Alejandro Zambra for the keynote presentation Thursday at its annual Festival of International Books and Arts. Zambra participated in an intimate question and answer session as his book “Ways of Going Home,” which explores life in Chile after a long dictatorship, was selected by the National Endowment for the Arts as part of the national Big Read program. 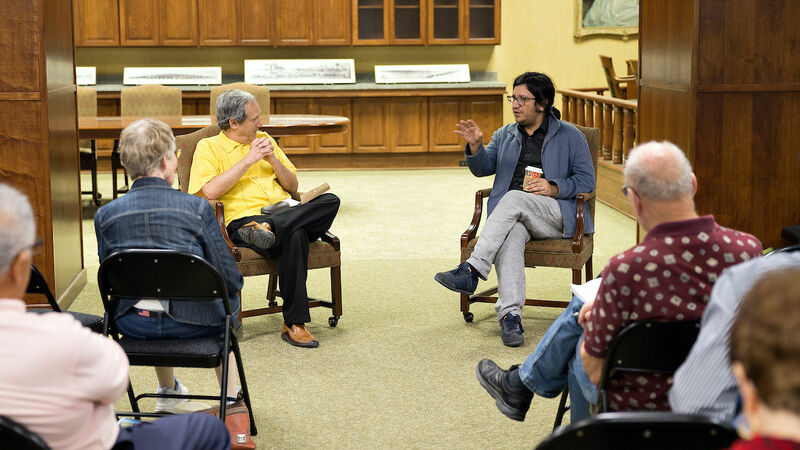 Language and translation of his books took the forefront in Thursday’s conversation, which was led by professor Steven Schneider, author of the NEA grant that provided UTRGV with $14,000 for the program. Alejandro Zambra, a Chilean poet, short story writer and novelist, on Thursday, March 1, 2018 at the University Library in Edinburg. Zambra stated his intent as an author is not usually for his work to be translated into foreign languages, but this book has already been translated into 10 languages. It is really hard to write in a language that is not your own, he said, noting it must be accurate and to convey the author’s idea for it to resonate with the reader. For this work, he relied on the skills of translator Megan McDowell, rather than attempting to do it himself. “On the first level you just want the book to create some kind of dialogue in your own country,” Zambra said. His featured novel focuses on Chile under the of rule Gen. Augusto Pinochet after Salvador Allende was overthrown, who is known as the first elected Marxist president in Latin America. Even though he was born two years after Allende’s death, Zambra said the repercussions of Pinochet’s dictatorship resonated with his generation. The novel begins in 1985, when Zambra was 9 years old. 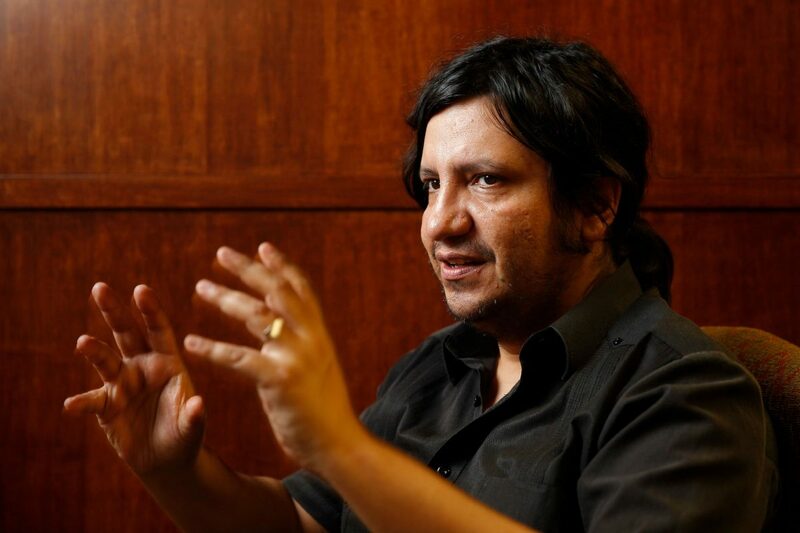 In his view, it is impossible to talk about his childhood without talking about Pinochet’s dictatorship, he said. His first goal was to write about his childhood neighborhood; because it was so uninteresting, he said, that it made it interesting to write about. That’s how he started to understand that writing about his childhood meant writing about Chile as a whole and writing about a lot of people’s experience not just his own. Zambra also had the realization that he would be writing a novel about writing a novel, an idea he didn’t like. But it helped portray the internal battle of feeling like his experience was not legitimate enough to vocalize. “La anestesia real de una dictadura. Te obligan a perder los sentidos,” he said in Spanish, “The real anesthesia of a dictatorship. They force you to lose your senses,” even if they lived among parents, grandparents and others who were present during the chaos and were in mourning for many years during and after the fact, it was not allowed for this to be his generation’s battle. But rather than the narrator being the victim or the hero, he was simply a person trying to understand and talk about things that he might have not experienced by using other people’s voices and experiences, he said. And as he tried to better understand those experiences he posed important questions to himself as a writer and even to the reader. These themes will be discussed further through the Big Read program at UTRGV over the next two months, including 20 community book discussions. Related events include two film screenings: “The Battle of Chile,” at 6 p.m. March 6, and “Neruda” at 6 p.m. April 4, at the Dustin M. Sekula Memorial Library in Edinburg. For more information, contact Schneider at steven.schneider@utrgv.edu or (956) 665-8775. This story was updated to reflect the historical accuracy of Gen. Augusto Pinochet’s rule.